Joe Penna is a musician and filmmaker who cut his teeth on content creation with his YouTube channel MysteryGuitarMan. 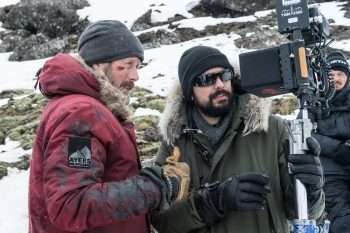 Penna’s big dream, however, was to get his narratives on the silver screen, and his feature directing debut Arctic is garnering tons of critical acclaim. Click on the media bar to hear Joe Penna talk about how the film The Martian influenced the location change of Arctic. Arctic, starring Mads Mikkelsen, is now playing in select theaters.